Ever since the transition to Junior Kindergarten happened at our house, I have been looking for a "go-to" list of no-nut homemade snacks to send in lunch boxes to school. Fortunately, none of my family members (or even extended family members) have severe dietary allergies, but I am getting a fairly good idea now at how challenging, frustrating, time-consuming, and energy-draining it must be to have a nut-allergy (or any dietary allergy for that matter!) Mercy! I feel your pain people! My search this week ended up with me whipping up a simply delicious, very quick and easy recipe that checked off every box on my top 10 list of criteria to fulfill when searching for snack recipes to make for school lunches! AWESOME! Here are my top 10 criteria for making homemade snack recipes! Delicious: DONE! These taste similar to cookie dough. Check! Nutrient-rich: Read on to see why this RD mom is happy. Check! No bake: Save on our monthly Union Gas bill! Check! Quick and easy to make: Less time in kitchen and more time with family. Check! Uses "normal" ingredients: You have them in your cupboard right now. Check! Miniature size: Portion control for us all. Check! Minimal dishes to clean: LOVE to use my food processor for this reason. Check! Keeps well: Make them once and use all week long. Check! Packable: Easy to pack for your planned snacks with the kids on the go. Check! And they LOOK delicious enough that my son begs to eat one while I am taking photos. Don't forget that we eat with our eyes before we eat with our stomach, so visually appealing food is an added bonus to spark your tastebuds, as well as your children's. Still need more reasons to try this recipe?! How about trying the nutrient-rich and health-promoting sunflower seed butter! Here's the dish on this no-nut butter. We don't usually talk too much about the nut-butter alternatives, like sunflower seed butter, but they are just as jam-packed with nutrition as their nutty counterparts. So, there is essentially no difference between the macronutrients (fat/carb/protein) of the two. 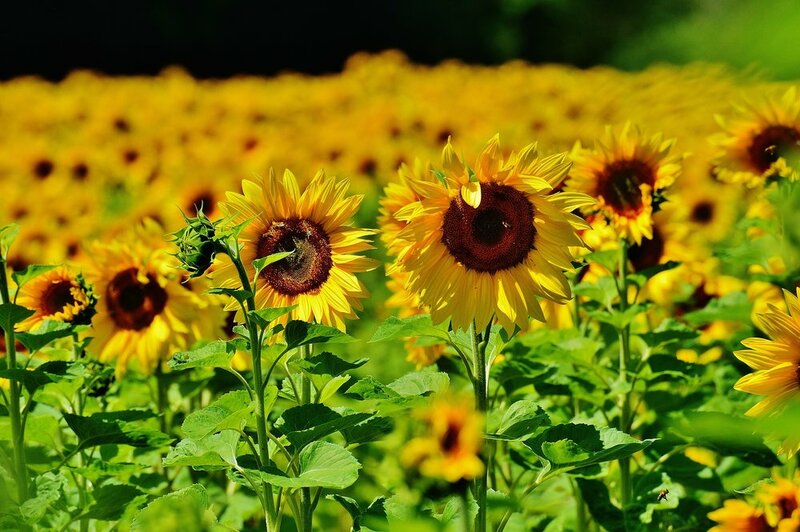 However, when we dig down a little deeper, we see that sunflower seed butter has more bang for our buck in terms of the sub classification of the macronutrients, as well as its vitamin and mineral content. Nutrient analysis of these two butters shows us that sunflower seed butter has less saturated fat (we want to minimize our intake of this fat), and more monounsaturated fat (heart healthy fat), as well as more magnesium, phosphorus, zinc, copper, iron, manganese, vitamin E, and selenium than peanut butter (2). Present it on a pretty plate and all of a sudden a lunchbox-friendly snack becomes a dainty tea-time snack, fit to serve the queen! Place the oats and Cheerios into a food processor and pulse until they are coarsely ground up. Add the maple syrup and sunflower seed butter and pulse until a thick dough forms. Stop the food processor. Stir in chocolate chips. Use your hands to roll the dough out into 14 little balls. Place in an air-tight container and store in the refrigerator for up to 7 days for optimal freshness. 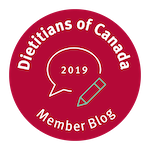 And, being a geeky dietitian of course, when I plugged in the ingredients into the easy-to-use recipe analyzer from Dietitians of Canada called "eaTracker", this is what I got! So there you have it my friends. Another recipe to add to your lunchbox-approved list and perhaps a new ingredient to add to your regular shopping list. USDA Nutrient Database. Accessed November 11, 2016 at https://ndb.nal.usda.gov/ndb/foods/. Gorrepati K, Balasubramanian S, Chandra P. Plant based butters. Food Sci Technol. 2015 Jul;52(7):3965-76. Click here for abstract. Phillips KM, Ruggio DM, Ashraf-Khorassani M. Phytosterol composition of nuts and seeds commonly consumed in the United States. J Agric Food Chem. 2005 Nov 30;53(24):9436-45. Click here for abstract.